In a recent post, I talked about Richard Dawkins’ discussion in his Delusion about why children gravitate towards fantasy and myth, etc, and alluded to GK Chesterton’s arguments about the ‘thought that ends all thought.’ This sentiment emerges in Chesterton’s book Orthodoxy in a chapter appropriately called The Suicide of Thought. The previous post was cross posted at the ChristianPost.com and the atheists there seem determined to put a bullet right between the eyes of their own putative rationalism. Over the last three hundred years unbounded skepticism has been applied to religion and Christianity especially. Atheist philosopher David Hume was one of the prominent voices calling for stringent criteria in evaluating miracle claims, and the like. Not everyone thought very highly of this criteria. 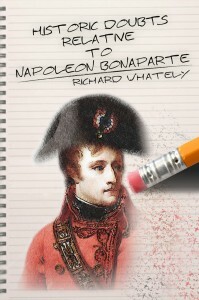 One such person was the Reverend Richard Whately, who skewers Hume’s reasoning by showing how if it were applied consistently, one could not be reasonably certain that Napoleon existed- a public figure that was said to be alive and roaming Europe even as he spoke! Atheists have a problem. Ok, they have lots of problems. 🙂 But this one is a big one: how to explain morality. Climategate to be followed by Evolutiongate? In another, Jones and Mann discuss how they can pressure an academic journal not to accept the work of climate skeptics with whom they disagree. “Perhaps we should encourage our colleagues in the climate research community to no longer submit to, or cite papers in, this journal,” Mann writes. The Internet is abuzz with the revelations that global warming proponents have been… lying, hiding data, and deceiving. The whole notion that ‘climate change’ is an emergency requiring drastic and immediate action now hangs in the balance. I was reminded of a post I wrote last year responding to a global warming skeptic comparing the global warming proponents to creationists. I said that in fact it was the other way around. Today, with ‘climate change’ and ‘global warming’ in particular being smacked around, it is good to revisit the issue. I have already addressed this in several places- here, and here– so I won’t dwell on things much. Instead, I want to reflect on an article I just read regarding the Vatican participating in an astrobiology conference to discuss the question. So ABC’s “V” was on again tonight. I enjoyed it. It lacked the same punch as the first episode but I still liked it. It seems a little hurried to me. Maybe there are too many commercials? I’ve seen other hour long shows that seemed to really carry a narrative so I know its possible. I can’t put my finger on it with “V” but it isn’t enough (yet) to push me away from future viewings. Here is a short story I wrote inspired by the comments in this thread on PZ Myer’s blog. Enjoy! “I got here as fast as I could!” gasped the old man. He put one hand on the hood of the squad car and bent over as he tried to catch his breath. Seventeen-year-olds will be able to buy the “morning-after” emergency contraceptive without a doctor’s prescription, a decision that conservatives denounced as a blow to parental supervision of teens but that women’s groups said represents sound science.